With the expansion of the international market, what was already a successful event is now a much more prestigious international event. FEIPLASTIC - International Plastic Trade Show - is the most credible and tradition event with the wide-ranging of the plastics industry in Latin America. Held since 1987 in partnership between Abiplast and Reed Exhibitions as BRASILPLAST and since 2013 under the name of FEIPLASTIC, the show integrates the main decision makers of the plastic chain to the technologies of the future. 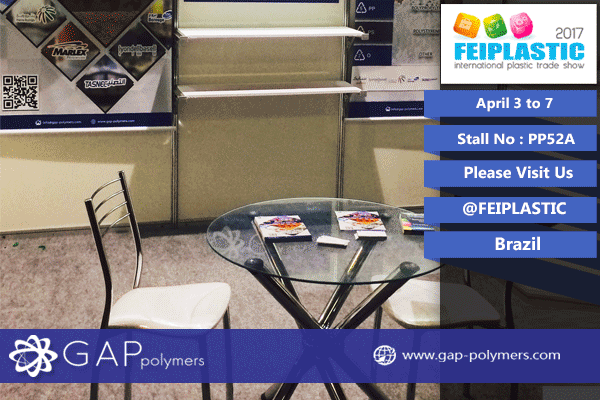 From 03 to 07 April 2017 at Expo Center Norte, one of the most modern pavilions in Brazil, FEIPLASTIC 2017 will once again be the moment of business expansion, content dissemination and environmental awareness of the plastic industry. VISITING: Minors under 16 years of age may not enter, even when accompanied by an adult. Exclusive event, free of charge for industry professionals who pre-register through the website or show an invite at the event location. Otherwise, BRL 55.00 will be charged for entry at the service counter. ATTENTION! By participating in Feiplastic, VISITORS and EXHIBITORS are aware and agree to be photographed and filmed during the event and that these images may be used by the organizers to promote the industry and the event.